The Apple television is the latest and hottest subject of the rumor mill that surrounds the company right now. These rumors of an Apple television have been getting more attention after people read a quote from Walter Isaacson’s biography on Steve Jobs that indicated that an Apple television is in the works. What will make an Apple television better then all the others on the market? Well, apart from it most likely sporting a sleek and elegant design, it appears that Siri could be what sets Apple’s TV apart from the competition. Siri is probably Apple’s new favorite feature and it should be, as nothing like it has been seen before. 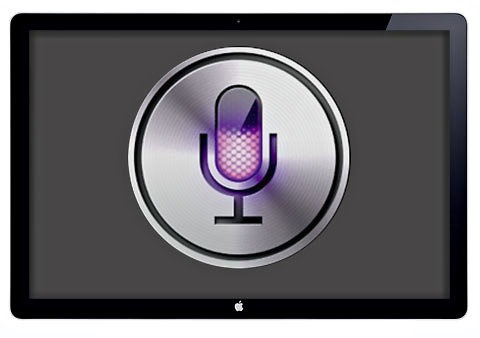 It is also one of the key features that helps to set the iPhone 4S apart from its predecessor, so it’s really not surprising to see Apple looking for ways to integrate Siri into future products and services, and the Apple TV appears to be a prime candidate. he television project has been in the works for sometime. I first heard about Apple’s television plans over a year ago. “It’s the stuff of science fiction. You sit on your couch and rather than fumble with several remotes or use hand gestures, you simply talk: “Put on the last episode of Gossip Girl.” “Play the local news headlines.” “Play someColdplay music videos.” Siri does the rest. Bilton reports that, according to his sources, Apple could announce it in 2012 and release it in 2013.